This area covers A LOT of ground and includes everything you need to do as a technician out in the field. You can See your Daily Agenda, create Billable's, add Images, list animals trapped, add or remove equipment from jobs, Click to call and map using Google or Apple’s built in mapping capabilities in any mobile device - we just supply the URL encoded address! Again, there is a lot of stuff going on here, including jobsite check in and check out - this updates the tasks calendar, your equipment library and your job reports all in a few clicks! 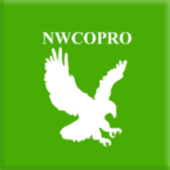 Ipads and even cheap tablets work very well with NWCOPRO. Plus there a smaller version for small devices!